Discussions were held in Paris, 9-10 November 2018, between delegations of representatives of the Russian True Orthodox Church (RTOC), (that part of the church which is no longer subordinate to the Synod of Archbishop Tikhon of Omsk and Siberia and is temporarily under the omophor of the Serbian True Orthodox Church) and the Russian Orthodox Church Abroad (ROCA) under the chairmanship of Archbishop Andronik (church groups that are no longer subordinate to the Synod of Metropolitan Agafangel). Bishop Akakije, the leader of the Serbian True Orthodox Church (STOC) was present as a mediator. The purpose of the negotiations was to examine the possibility of establishing Eucharistic communion between our Churches. It should be noted that both of the parties in these discussions, among other reasons, have separated themselves from their hierarchy because of the latter’s isolationist policies and consistent refusal to undertake any steps toward establishing the unity that is desired by all. At the beginning of the meeting, the bishops related their biographies to each other. Then both delegations had the opportunity to ask questions of the opposite side. Members of the delegation of Abp. Andronik asked Bp. Akakije to explain the practice of re-baptizing those who join his jurisdiction from the Belgrade Patriarchate. Bp. Akakije related that when he was a hieromonk in the Greek GOC Synod of Archbishop Chrysostomos, in accordance with the practice of that synod, he was obliged to accept through re-baptism those who had not been baptized with three immersions. In the Belgrade Patriarchate very few baptize correctly through a triple immersion. Bp. Akakije in his jurisdiction currently adheres to a more reasonable pastoral approach when receiving converts from the official churches. A question was also asked about the circumstances of the episcopal consecration of Bp. Akakije. Bp. 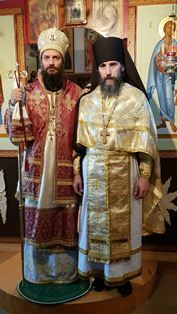 Akakije accepted consecration from the Synod of the RTOC, without the blessing of the Greek GOC Synod, to which he belonged as a hieromonk. Bp. Akakije explained that he had to take this step, because the continued presence of the Serbian True Orthodox Church under the Greek omophor impeded the church’s missionary activity in Serbia. The Greeks had for many years refused to consecrate a bishop for the Serbian Church. In addition, the Serbian Church has been an autocephalous church from the time of St. Sava and the Synod in Athens did not have the right to keep the Serbian diocese under its subordination. All of the participants in the discussions recognize the canonicity and authenticity of the episcopal consecrations of the STOC and of the ROCA. The Synod of Met. Agafangel had earlier declared the RTOC, who consecrated Bp. Akakije, to not be a canonical church. At that time Abp. Andronik and Abp. Sofroniy belonged to the Synod of Met. Agafangel and had signed this decision. They both now recognize the fallacy of that decision, regret having affixed their signatures to it, and disavow the decision. Bishop Akakije recognizes the consecrations of Met. Agafangel’s group as canonical. He had previously viewed these consecrations as not canonical, because he considered the source of these consecrations, the Synod in Resistance, to be a schismatic group that had been defrocked of episcopal rank by the Greek GOC Synod led by Archbishop Chrysostomos II. At this time, Bp. Akakije is of the view that the non-canonical position of Met. 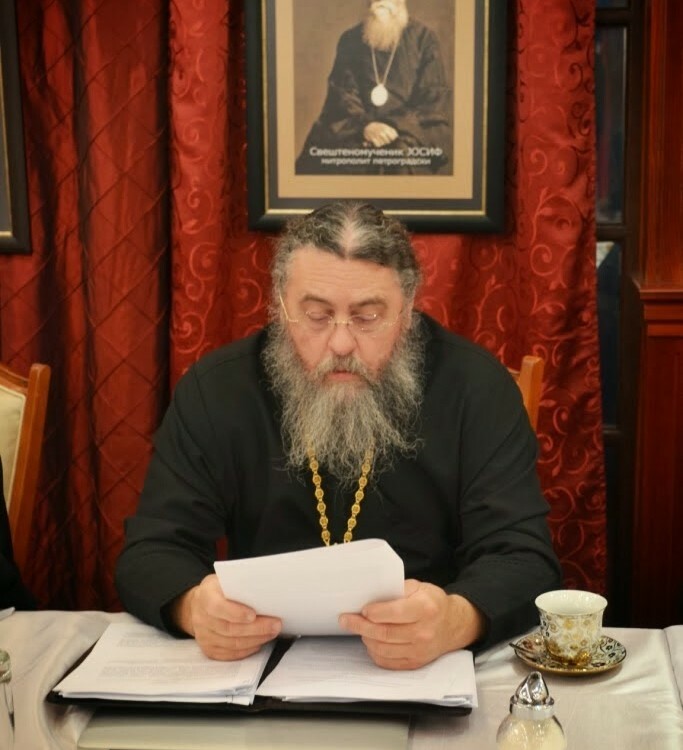 Agafangel’s group has been corrected through the union of the Synod in Resistance with the Greek GOC in 2014. The ROCA delegation asked about the canonical position of the group of priests in Omsk. After the death of Bp. Stefan (Sabelnik), the Omsk priests, with his blessing, began to commemorate Bp. Akakije. Bp. Akakije explained that he agreed to be commemorated by priests in Russia and in Ukraine, because Bp. Stefan had provided his blessing for this. Bp. Akakije does not wish to extend his jurisdiction onto the canonical territory of the Russian Church. He considers the current commemoration to be temporary while the canonical status of the Omsk group is resolved. 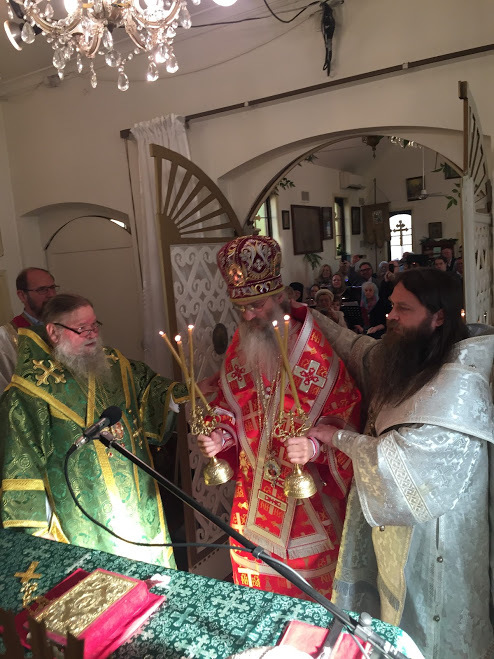 Clerics in Russia and Ukraine who commemorate Bp. Akakije are considered to be clerics (as they were previously) of the RTOC, who retain their previous unity with the ROCA. The commemoration of a STOC Bishop is temporary and does not imply the transfer of RTOC parishes and communities to the STOC. In view of these circumstances, the current state of affairs is permissible. Both parties agree that our common canonical basis is Decree No. 362 issued by Patriarch Tikhon. Although the authors of Decree No. 362 intended a territorial principle to be the basis for organizing Church Districts, under our current circumstances and due to the loss of episcopal authority after the union of the majority of the ROCOR episcopate with the MP, Church Districts can be structured on the principle of personal trust in the bishop. Clergy and laity have the right to determine how they should be organized and to which bishop to turn to arrange their church life, and it does not matter on which territory this bishop carries out his ministry. All of the participants agreed that church life should be based on conciliarity. It is dangerous when a small group of hierarchs decides all questions behind closed doors and imposes their decisions on the whole Church. This is the practice in the Synod of the RTOC and in the Synod of Met. Agafangel. The ROCA representatives shared their experience; in the Diaspora District meetings of the Council of Bishops are held with the participation of the District Council, which consists of representatives of the clergy and laity. Council decisions are then confirmed by the bishops. The STOC representatives raised the issue of Bp. Iriney. The delegation of Abp. Andronik explained that they are in communion with Bp. Iriney and his clergy but that he does not belong to the Council of Bishops of the Diaspora District chaired by Abp. Andronik. In the same fashion, Abp. Sofroniy and Bp. Iriney do not share a common administrative structure. Bp. Iriney’s diocese includes parishes in Izhevsk, which were accepted by Met. Agafangel from the Moscow Patriarchia as “parishes of the Moscow Patriarchia under the omophor of the ROCA.” This formulation confuses the faithful and prompts questions on their part. One of Abp. Andronik’s clerics even left his jurisdiction because the Archbishop was in communion with the Izhevsk priests. The participants in the discussions agreed that positioning themselves as “parishes of the Moscow Patriarchia under the omophor of the ROCA” is unacceptable for us, since this de facto legitimizes the Moscow Patriarchia created by Stalin in 1943. We suggest that the Izhevsk priests abandon this name and its associated ecclesiology. The question was raised about the relationship of Abp. Andronik’s group with Bp. Dionisiy (Alferov). Neither Abp. Andronik nor Abp. Sofroniy have any connections with him. The well-known letter of the Omsk clerics (dated 02 May 2018) and Bp. Andrei’s response to the letter were also discussed. These personal discussions served to clarify the positions of both parties. The letter noted the fact that Abp. Sofroniy spoke about the murdered Fr. Pavel Adelheim, who belonged to the Moscow Patriarchia, as of a saint. Abp. Sofroniy explained that the late Fr. Pavel had discussed joining his diocese and that only the death of Fr. Pavel had prevented this from happening. Abp. Sofroniy conceded that he had spoken imprudently about Fr. Pavel as of a Holy Martyr and that this had disconcerted some members of the Church. The ecclesiology of Metropolitan Cyprian (Kutsumbas) was also a subject of discussion. This issue has lost its relevance after the unification of the Synod in Resistance with the Synod of Archbishop Kallinikos. Both parties in these discussions do not accept the teachings of Met. Cyprian as orthodox. To this point, the hierarchs of Abp. Andronik’s group, in an August 2018 statement, declared that they adhere to the traditional ecclesiology of the ROCA and reject the teachings of Met. Cyprian. The outcome of these discussions in Paris was the general conviction that there are no serious obstacles to our unity, which should be an expression of our shared convictions and spirit. All of the participants expressed a desire to establish Eucharistic communion between our Churches, but this will require careful preparation. All of the parties stand ready to undertake the work needed to achieve this unity.